Lease our space for your wedding, party, or organizational meeting. We offer rental space for weddings, private parties, community meetings, theater and concert productions and movie shoots. We also offer long-term office space rentals. 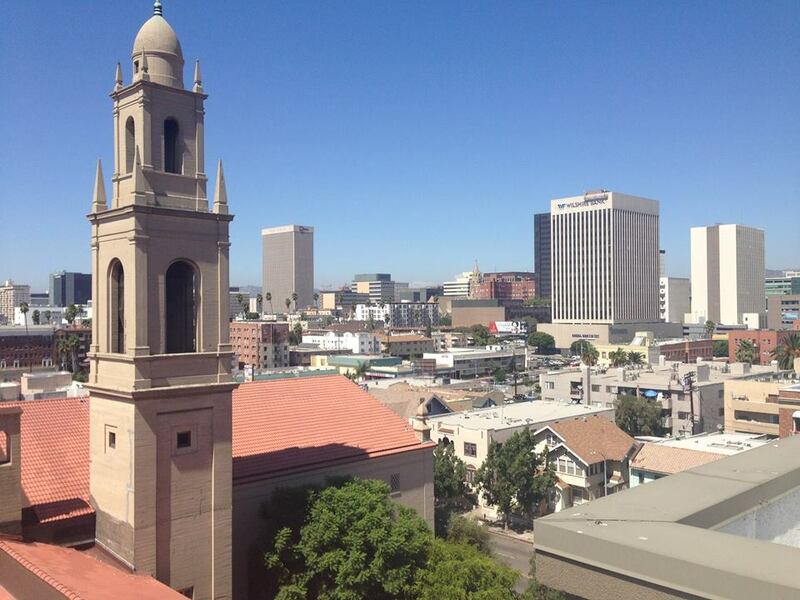 Our space is a short walk from the Wilshire/Vermont Metro Station, which is itself a short subway ride from Union Station. For more information, please contact Sonia at (213) 401-1191. Our largest space seats up to 700 people and is perfect for weddings, concerts, or larger events. Channing Hall includes use of a kitchen and tables and chairs. The space can fit up to 250 people. This space is perfect for parties, receptions, or community meetings. Single offices may be leased for a few hundred dollars per month. Our 2000-square-foot gymnasium is also available for daily rentals. 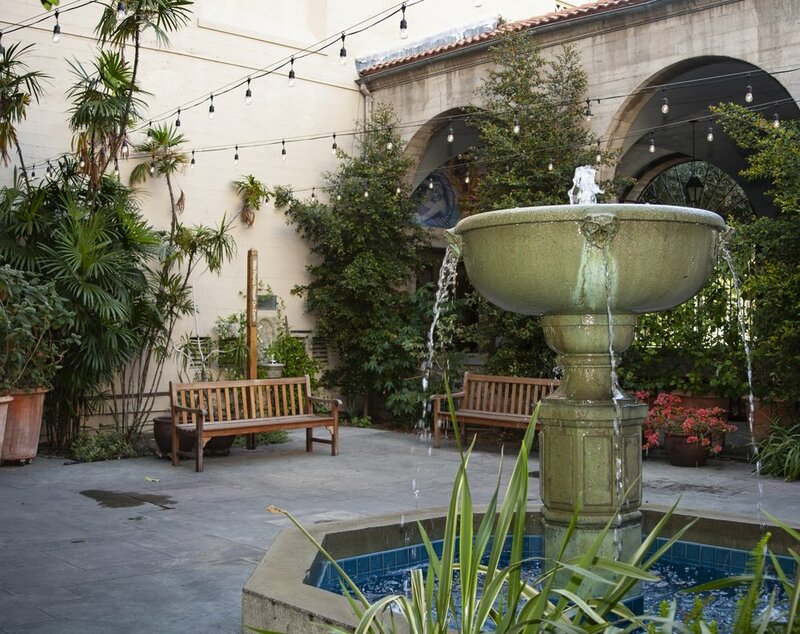 First Unitarian Universalist Church of Los Angeles outdoor courtyard with fountain. The gated space is perfect for entertaining or relaxing. Our meeting rooms are available in various sizes or groups of 50, 100 or 250 persons. Meeting rooms may be leased by the hour or day. The Severance Room has 865 square feet of space and has been used for business, spiritual and community meetings. Capacity: 144 people, seated.